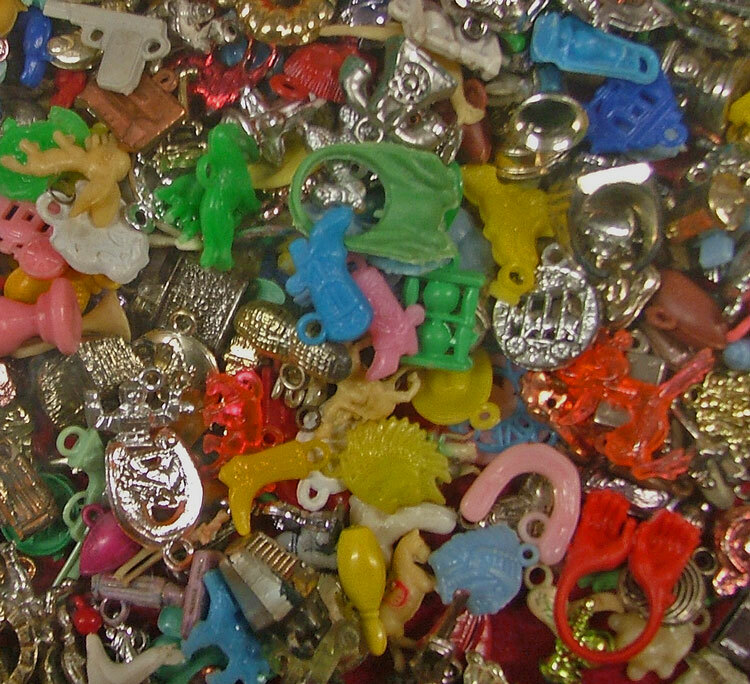 Did you collect these charms as a kid? What did you do with your bubblegum charms? Did you make a bracelet or a necklace? Did you add them to a keychain? Here at Bahoukas Antique Mall we have a huge assortment of bubblegum charms. Have you considered creating a fun piece of jewelry or accessory that utilizes some of our collectible charms? NO? Well think about the stories you’ll hear if you share a bubblegum charm design with someone special. What a great little gift idea! Maybe you’d like to create a special “You are my lucky charm” Valentine Gift. CLICK HERE for a possibility. (The charms are different, but you’ll get the idea.) Maybe you’d enjoy making a special pin for mom or grandmom with a few bubblegum charms, or add a few to a keychain for dad. Stop in and take a peek at the variety of charms we have. It’ll surely spark a fun idea. Or possibly create something For St. Patrick’s Day or even Easter! And yes, we’ll be watchin’ for ya.